This week: gun deaths and tax simplification. What’s misunderstood about them: Victims of mass shootings are not the typical gun deaths. What more people should know: If you’re quoting gun-death totals, you’re mostly talking about suicides, domestic violence, turf battles between gangs, and arguments that spin out of control — not Las Vegas type massacres. The United States has more guns (1.12 guns per resident, nearly twice as many as the next highest countries — which are Serbia and Yemen, not nations we usually compare ourselves to) and more gun deaths (averaging 33,367 per year from 1999-2015) than any other country in the world. We also have more spectacular mass shootings (like the recent Las Vegas massacre) than any other country. Mass shootings make headlines and start us wondering why our country is this way. They also make us afraid in ways that other gun deaths don’t. I know I have been in crowds that gathered in urban areas near tall buildings, like the country music festival in Las Vegas. What if someone had started shooting from above? What could I have done? But as so often happens, the spectacular event that focuses our fears is very far from the typical event captured by our statistics. The majority of gun deaths, for example, are actually suicides (21,175 in 2013). Gun homicides average a little over 12,000 per year. Of the homicides, a large number are domestic violence or some other family dispute. (That’s why detectives on TV always check the spouse’s alibi first.) Some escalate from arguments between acquaintances, some are gang-related, and others are incidental to armed robbery or some other crime. Mass-shooting victims are simultaneously a horrifyingly large number of people and a comparatively small percentage of fatal shootings. The Washington Post went back half a century and used a tighter-than-usual definition to collect mass shootings since: They counted “four or more people were killed by a lone shooter (or two shooters in three cases)” and not “gang killings, shootings that began as other crimes such as robberies, and killings that involved only the shooter’s family.” That gave them 131 events and 948 deaths since the University of Texas sniper in 1966. Using a looser definition (four-or-more injured or killed, including the types of shootings the WaPo filtered out) The New York Times reported 585 people killed in 521 incidents in about a year and a third — still less than 1.5% of the gun deaths during that period. So: 58 people killed in an hour or so by a single shooter in Las Vegas, and 33,000 gun deaths year after year. They’re both evidence that the United States has a sick relationship with guns, but they’re very different facts that point to very different problems. Short of drastically lowering the number of guns, solutions to one of those problems isn’t likely to do much about the other. 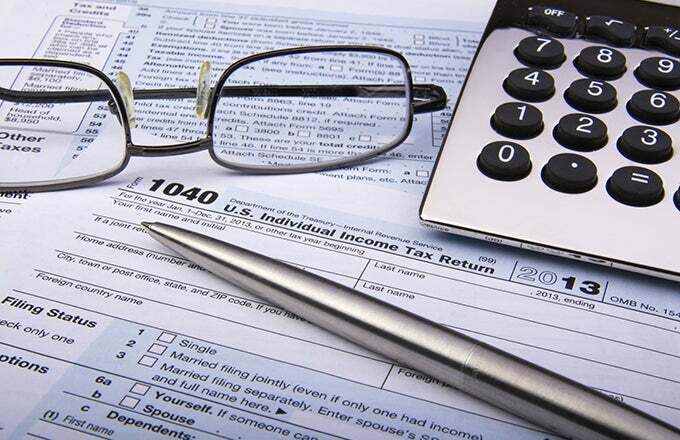 What’s misunderstood about it: What makes figuring your income tax so complicated. What more people should know: Reducing the number of tax brackets doesn’t simplify the process in the slightest. Whether the IRS defines one bracket or a hundred, filling out your 1040 will require the same amount of time and effort. No one knows exactly how much time taxpayers spend on IRS forms, but estimates run into the billions of hours each year. In addition, we spend billions of dollars paying professionals to compute our taxes for us. So it’s not surprising that every tax reform is sold to the voters as a simplification, sometimes promising that you’ll be able to send the IRS just a postcard rather than a heavy envelope full of filled-out forms. Invariably, someone claims that taxes would be simpler if they were flatter, i.e., if there weren’t different tax brackets taxed at different rates. While the current Trump administration proposal doesn’t go all the way to a flat tax (one bracket), it does reduce the number of brackets from seven to three. But if you’re hoping that change will make April 15 less stressful, you’re out of luck. The easiest way to see the problem is to get out last year’s 1040 (or a blank 1040 form) and ask yourself: Where did the number of brackets make any difference? Well, not on the first page, which is all about your sources of income, not how it’s taxed. In fact, the form is all about income until you eventually arrive at Line 43: Taxable income. Right under that is Line 44: Tax. What magic happened between 43 and 44? If you’re like most people, you took the number on Line 43 and used it to look up how much tax you owe on the Tax Tables in the Instructions. That’s the only place where the number of brackets mattered. Changing the number of brackets, or even the rates that each bracket pays, changes the numbers in the Tax Tables. That’s it. Taxes are complicated for two reasons, neither of which has anything to do with whether the tax rates are flat or progressive (i.e., applying higher tax rates as you make more and more money). The government chooses to subsidize certain pro-social activities (buying a house, giving to charity, saving for retirement, etc.) through the tax code (as deductions), rather than by direct subsidies. This method favors rich people, who — since they’re paying a higher rate — get more money back from their deduction than you do. Every deduction you claim has its own form, where you establish that you really did the thing that you’re claiming a deduction for. So eliminating deductions and taxing all forms of income the same way (not all levels of income at the same rate) really would cut the amount of time you spend filling out your taxes (even if it’s just the time spent understanding what tax-exempt interest is and realizing you didn’t receive any). The Trump proposal claims to be eliminating deductions, but hasn’t specified any yet, so we don’t know yet if it will be simpler in any material way. So why don’t tax-reform proposals focus on these actual time-savers? That’s easy: (1) eliminating deductions doesn’t sound as good because it’s taking something away from you, and (2) rich people want to continue paying lower rates on their non-wage income. You know what would make things much, much simpler for the vast majority of taxpayers? An awful lot of the 1040 and its lettered schedules are devoted to telling the IRS things it already knows: Your employer has already reported your wages, your bank has reported the interest your savings earned, and so on. You waste a lot of time copying numbers off of W-2 and 1099 forms that the IRS already has. The IRS could send you a form with all that information already included, and with the tax you owe already figured (assuming the standard deduction). If you think they got something wrong, you have other income to report (like your poker winnings — very important if you don’t want to end up like Al Capone, who was convicted of having a lifestyle his reported income couldn’t support), or you want to itemize your deductions, you could file just that part of a tax return. Otherwise, you send or cash a check and you’re done. Other countries do this, and it really is simpler. The reason we don’t is that (in spite of their rhetoric) conservatives don’t want your taxes to be simple. They want to keep the public in a perpetual state of agitation against the IRS, which they can turn into support for “simplifications” like a flat tax that favors the rich. * That worksheet is what makes me skeptical of those file-on-a-postcard proposals. (I examined Ted Cruz’ postcard back in 2015, in a note about the Republican debate. It wasn’t actually simpler.) We could all file on postcards now, if the details were pushed off to worksheets that we don’t send in to the IRS, but have to be able to produce if we’re audited. But the calculations would be the same. Yeah, the tax bracket thing. If there was a hundred brackets, you’d look your tax up in the table in the back of the instruction booklet. If there was one bracket, you’d look your tax up in the table in the back of the instruction booklet. How is that simpler? I have been a tax professional for 30 years, and you have hit every point on the head, especially the fact that MANY other countries calculate an individual’s tentative tax liability and essentially send the form to the person for review and correction, but you left out a big reason why Congress does not want that system to take hold here, including their war against the IRS and refusing to fund it properly. 1. The lobbyists for the tax preparation industry, which would suffer enormously under a government-reported system, push constantly against any system that would reduce the filing burden. Yes, many taxpayers would seek professional help to determine and report their proper deductions (assuming that Congress did not do away with them when lowering the rates) but the large tax prep firms and the accounting firms would lose a LOT of money if the process was made more automatic. 2. The sheer number of types of income that we have in the Internal Revenue Code, and the convoluted rules for determining in any given year what portion of what income should be taxed, makes it enormously difficult for the government to do here what they do elsewhere. and 3. Such a system would benefit most the low and middle income filers who typically cannot itemize and get their income reported to them on W-2 or 1099-MISC, for whom the IRS COULD calculate a reasonably accurate return, and hey, we don’t want to help THOSE people, the tax preparers make a killing on them every year preparing returns and grabbing a piece of their refunds. So the postcard that Chairman Brady waves around at every speech is a joke, and he knows it and doesn’t care. Thanks for an inside view. One more reason that we need to be working to change the way that we fund political campaigns. If people could get into congress without having to raise zillions of dollars to do it, lobbyists would have much less influence. In the current system, they are a key part of the fund-raising process, so they have an out-sized voice. * Issue One (https://www.issueone.org/). Former government officials – senators, governors, members of the house – from both parties – people who have lived the problem speaking out to end it. * How the New York City Counsel does it (https://youtu.be/4C4wGHfL_a4) and (https://www.brennancenter.org/publication/small-donor-matching-funds-nyc-election-experience). The New York city council uses a matching program for small dollar donations to give candidates an option that doesn’t require big donors. * Sarbanes (https://sarbanes.house.gov/). Rep. John Sarbanes (D-MD) has been very vocal on this topic. He introduced a bill in the House that would create a national system similar to what is used in New York City, and he travels around to talk about it. His bill is the Government By the People Act (https://sarbanes.house.gov/bythepeople). I’m sorry this reply didn’t appear right away after you wrote it. Comments with a lot of links are automatically shunted into a list that requires my specific approval. It took me a while to get around to noticing this one.